A month-long collaboration between White City Place and the Royal College of Art culminates this Friday, 9 June, with the Making the Long Tail mini festival. 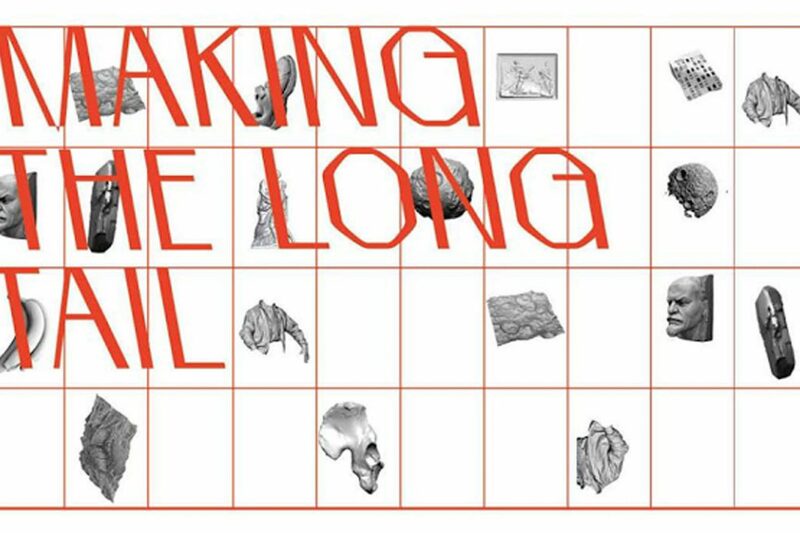 Making the Long Tail is a curated programme of student-led projects, events and workshops organised by RCA School of Communication. The project transforms a space in White City Place into a testbed for exploring new modes of production that merge low and high tech, and experiment with new forms of networking between people, tools, media and the environment. Join us on this Friday between 2pm-8pm for special programming. Drinks and nibbles provided! As of 2016 there are over forty countries that have added physical barriers to guard their borders from neighbours. For residents of border towns with physical walls or fences, this division is constantly presents, part of their everyday. This installation reflects on the ways in which they share the same skies with ‘the other side’ but have only a fractured connection. By acquiring a digital casting of a visitor’s arm and then presenting it inside a virtual space, thia installation becomes a platform for interrogation into the relationship between a gallery’s collection and its visitors. Once an individual has agreed to donate their arm, a scan is made as part of a ritual symbolising the passage of death and the transition from a physical existence to a digital one. Visitors are able to look through our viewfinder and see themselves on display. Inspired by the Dadaist poetry methods of Tristan Tzara, we will invite workshop participants to investigate the words, slogans, and text based information printed on the buildings and signs around White City. With these texts we will create our own unique poems to perform within the space on the closing night. Performance using amplifiers and instruments made from rocks and basic matter in the Derelict Electronics workshop led by Electronic Noise Artist Ryan Jordan during Making the Long Tail, which imagined that a digital holocaust has occurred and all electronic devices have ceased to function. Performance with a machine that recreates the Doppler effect, exploring how we can use the sonic environment as a compositional tool.